The first English speaking university uses inventory management tracking technology to keep track of and maintain over 28,000 phones. These phones are used in buildings in all the university’s buildings throughout the city of Oxford. Even the top colleges and universities around the world find it hard to keep track of inventory. According to a 2013 report, Virginia State University has as claimed around $8 million worth of taxpayer-funded inventory was lost, missing, or stolen. Even on a smaller scale, just the Miller Learning Center at the University of Georgia, has reported $15,250 in missing inventory. Oxford University was started more than 900 years ago in the city of Oxford, and it has grown with the city. The university has buildings throughout Oxford city and has to maintain an extensive phone network to keep them all connected. In fact, the network includes over 28,000 phones. This means the oldest English-language university can’t rely on traditional inventory management, it needs to use the latest in inventory tracking technology. However, until recently Oxford University’s Telecom IT department was using an old and outdated manual system to try and keep track of its phones and inventory. It wasn’t working. 1. Error prone – Manual systems of inventory tracking are going to have errors, and not just a couple, they are going to have a lot of errors. This is not the fault of lazy or inadequate employees it is just human nature and the realities of data entry. Even using the conservative benchmark of 1% human data entry error rate per 100 strokes, when inputting barcodes which can often contain 10 or more characters, you are looking at mistakes in 1 out of 10 barcodes. Once an inventory is entered incorrectly it can be almost impossible to catch the mistake or find. 2. Time consuming – Aside from being error prone, manual systems are time consuming. It takes hours to initially record items and enter the data. It takes more hours to then find the data in a spreadsheet when you need it and even more hours to turn the data into a usable audit report. And depending on the accuracy of your spreadsheet it can take hours to then locate the actual asset. These are many hours that could be spent on more important and productive work. 3. Out-of-date information – After all the hard work and the unavoidable errors you will be stuck with an inventory tracking system that is constantly out-of-date and difficult to use. As soon as inventory is moved it is no longer reflected in the system until a human notices it and inputs it. Also, information from multiple locations and people will be hard to combine consistently if you have different spreadsheets or methods in different places. And it is impossible for multiple users at multiple locations to access the system and see current information. This makes audits difficult and timely as you have to check all inventory each time you want to establish as assets location or condition. Before Oxford University started using Wasp Inventory Control to manage and track its inventory of over 28,000 phones and pieces of equipment, it was using an outdated manual system that included some records kept by hand and some on various spreadsheets. The system was inefficient and error-ridden and the university realized it needed to find an alternative. 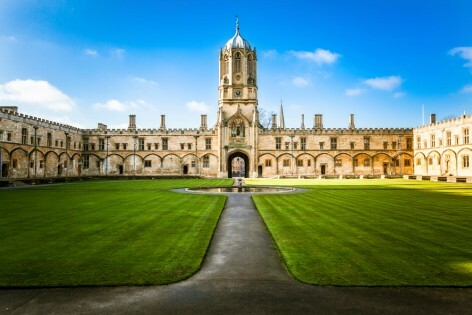 As Jemima Spare, IT Support Officer, University of Oxford, began looking for inventory management systems she quickly found there were many factors to consider when choosing an inventory management solution. After looking online at different tracking systems, we decided Wasp was the best solution because it fit our needs perfectly,” said Spare. This meant trouble for the IT team. They never had sufficient supply of needed items and they often had excess of unneeded items. It also made it incredibly difficult to create audit reports and perform the kind of inventory tracking required of a university where donor dollars must be carefully monitored and all purchases tracked. 1. Use the best tracking technology – Barcode technology was developed in the mid 20th century to increase the efficiency of identifying assets or inventory and reduce the potential for human error. Since then the technology and applications of it have only gotten more sophisticated. Use this to your advantage. 2. Automated entry ensures less human error – One of the chief benefits of barcode technology is automated data entry which reduces the risk of human error and makes sure you have the correct information associated with inventory. It also significantly reduces the time spent tracking inventory and entering data. 3. Make sure information is updated in real-time – An inventory tracking system is no good if it can’t really tell you where your inventory is. A centralized database that is updated in real-time allows you to be confident when auditors come or reports need to be drafted and it ensures you can always find inventory when you need to. Wasp Barcode’s inventory management technology and barcode label maker enabled Oxford University to easily track and monitor all their equipment. 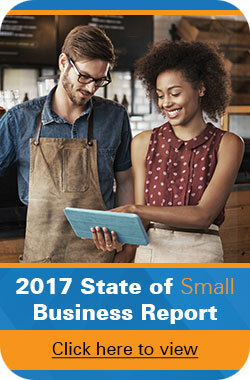 The new system cut staff hours spent on inventory management and made creating audit and financial reports much easier. It also made finding a phone much quicker and simpler. How would having a dedicated inventory management system cut down on the hours employees are spending tracking down and searching for expensive company inventory?